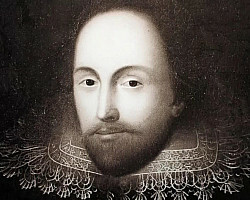 From February 6, 2019, the St. Petersburg State Theater Library invites you to the exhibition “The World of Shakespeare”, timed to the 455th anniversary of the English playwright. 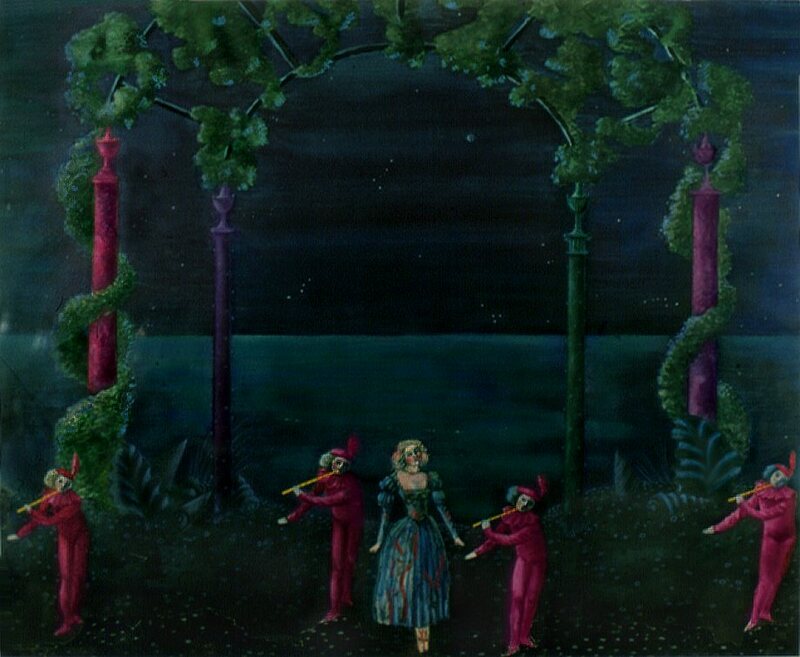 The stage embodiment of the dramatic art of Shakespeare is a special page in theatrical history. For centuries, the plots of the English classic served as a source of inspiration for composers and choreographers, and the characters in his plays were the cherished dream of every artist. 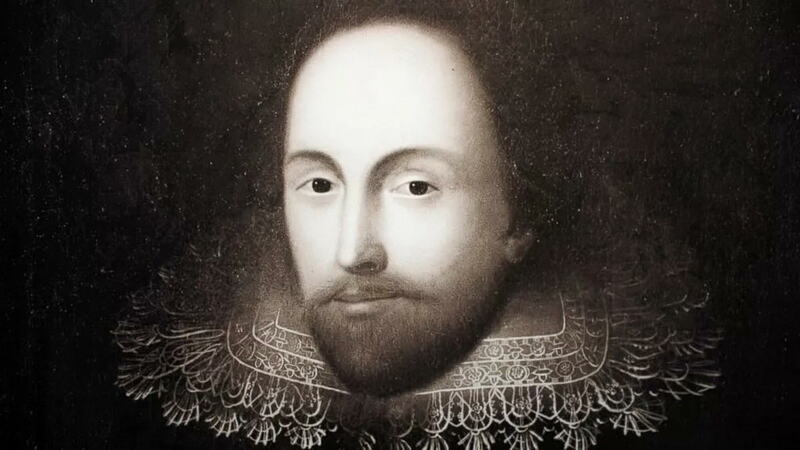 The fame of many masters of the stage is associated with a vivid embodiment of Shakespearean roles that remained in the memory of generations as wonderful legends, and the success of this incarnation depended to a large extent on the theatrical artist. Sketches of costumes, sketches of scenery, being the first stage of work on a performance, over time turn into his memory, into one of the few material carriers capable of restoring its atmosphere. In the sketch fund of the St. Petersburg State Theater Library, Shakespearean scenography is 1202 pages, made for both the musical theater (for opera and ballet) and for the drama. Including 8 sheets created for the puppet show. Together, they illustrate over 50 productions and provide an opportunity for real immersion in Shakespeare, the world of Shakespeare’s heroes. 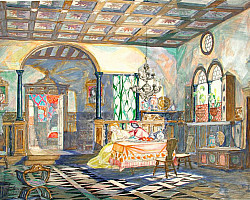 The chronological beginning of the exhibition "The World of Shakespeare" are the sketches of the end of the XIX century. 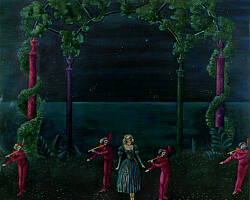 to G. Verdi’s opera Falstaff by Ricordi (Milan). The exhibition continues the works of G.L. Telyakovskaya (the wife of the last director of the Imperial Theaters, VA Telyakovsky) and one of the most famous set designers of the Alexandrinsky and Mariinsky Theaters of the early 20th century. A.K. Shervashidze. The first post-October decade is represented by sketches by B.A. Almedingen to the opera “Romeo and Juliet” by S. Gounod (one of his best works) and the MP decorations. Bobyshova to the play "The Restraint of the Shrew". The Soviet era is reflected by the theatrical legend - the play "King Henry IV" in the design by E.S. 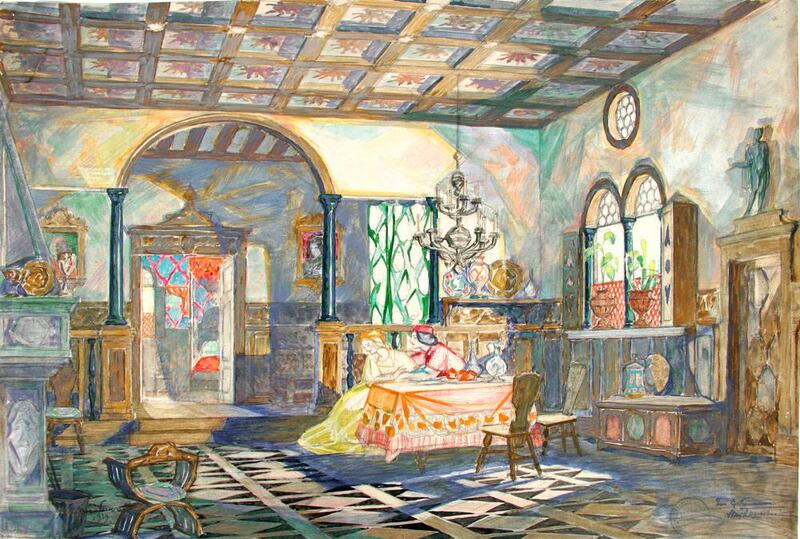 Kochergin, expressive painting S.M. Yunovich and magnificent sketches M.TS. Azizyan to the comic ballet B.Ya. Eifman to music G. Donizetti "The Twelfth Night". The exhibition is completed by the searches of our designers, presented by sketches of the first decade of the XXI century. The exhibition is open from 06.02. - 03.22.2019 in the library at the address: ul. Architect Rossi, 2 (entrance from Sq. Ostrovsky).